Pumpkin and cheesecake are two of my favorite things. Life is busy and I don't always have time to bake a cheesecake. So I needed to create a quick and easy fix to cure my craving. These Pumpkin Pie Mini No Bake Cheesecakes are absolute perfection. I set out to update some of my horrific food photos from the early days of blogging. 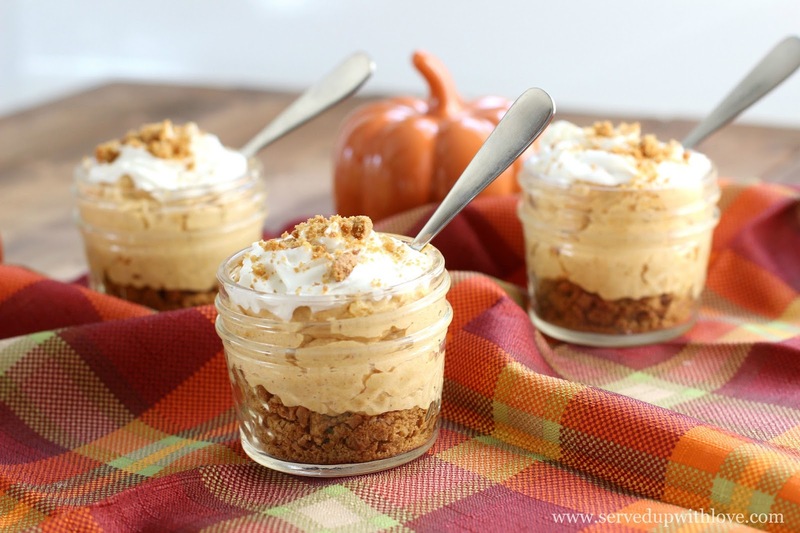 While updating the Pumpkin Pie Dip I had a light bulb moment. 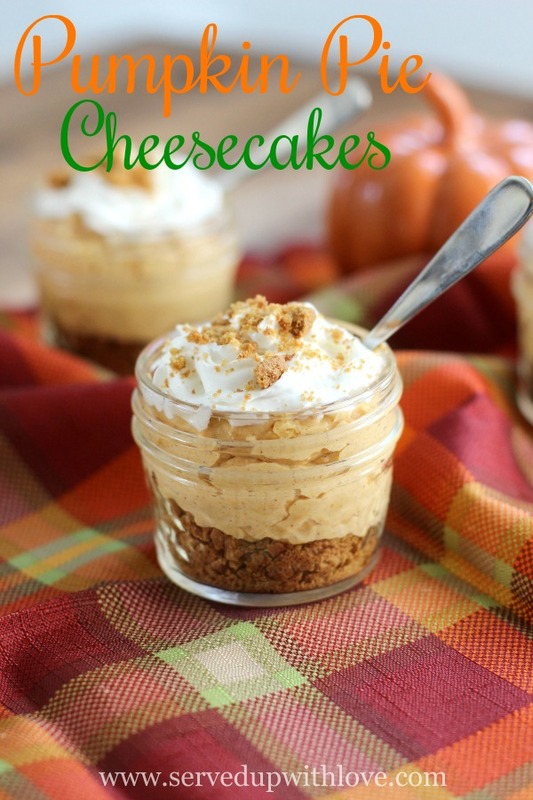 "What if I made a no bake cheesecake with these same flavors?" That was all it took because I could not get it off my mind. So I grabbed all my ingredients and got to work. My family (parents, siblings, etc) can't stand cream cheese. Say what?? Crazy right? So anything I make that has cream cheese in it is a no-no at any family gathering. 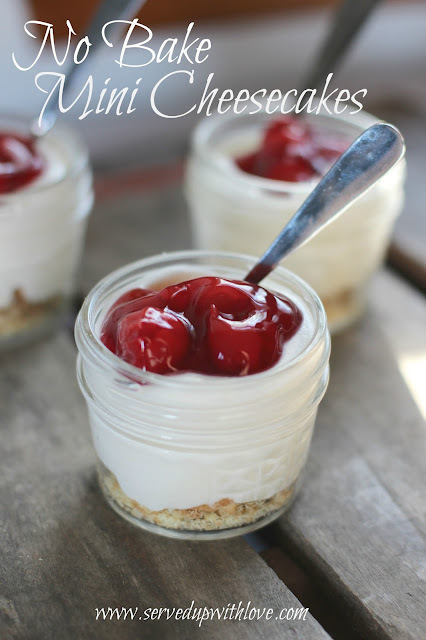 And lets face it, most of the time if I am making a sweet treat it is to share with my family. Mix all ingredients together except ginger snaps and chill. 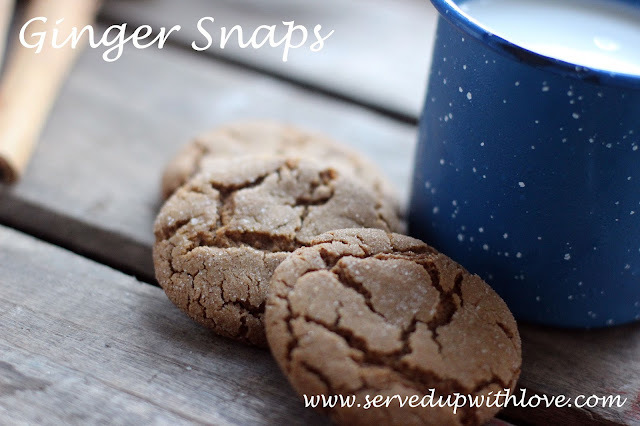 Crush ginger snap cookies and layer into the bottom of jars. 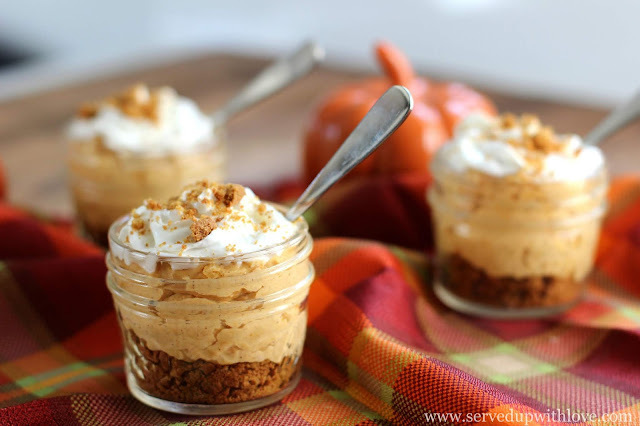 Top with the pumpkin mixture. Then top with whipped topping and more crust ginger snaps. Serve and enjoy! This looks yummy! How many of the little jars can your recipe make? Thanks! Hey there Jennifer, depending on how much you fill them I would think you could get at least 12-15. Hope you get to try them soon! You could make this a couple of days ahead just keep in mind that the ginger snaps will loose some of their crunch. Hope you enjoy!